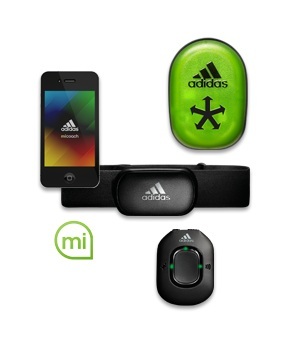 THQ and Adidas have settled their $10 million dispute over the fitness game miCoach 24/7. Athletic apparel company Adidas filed suit against THQ earlier this month over the publisher's failure to make a game based on the miCoach, an "interactive personal coaching and training system." miCoach 24/7, as it was called, was intended to come out in January of this year but the publisher informed Adidas in December 2011 that it wasn't going to happen. Adidas filed suit, demanding more than $10 million in damages and an order that THQ not sell or transfer the rights of the game to anyone else, since it was apparently reluctant to give it up to Adidas' replacement developer of choice. For a struggling company like THQ, whose share price continues to flounder well below the minimum $1 mark needed to avoid NASDAQ delisting, ten million bucks is a lot of scratch. Fortunately, the problem seems to have been resolved to everyone's satisfaction. "Adidas and THQ Inc. have amicably resolved the dispute, which will allow Adidas to get the miCoach game to market without delay and without compromising any of its unique features," Adidas rep Frank Thomas told Gamesta. "Through the settlement, each party was recognized for and compensated for their important contributions to the game." Details of the settlement weren't revealed but a THQ rep confirmed that the company will not be publishing the game. Adidas presumably has someone else lined up to publish miCoach 24/7, while THQ is likely just happy to have disentangled itself without suffering any heavy financial body blows.